Before we get started, let’s all chime in with a big, fat, Visio Guy Thank you! to JDesmarais who asked about how to get headers on both ends of swimlanes in the microsoft.public.visio.general newsgroups, back on September 25th! The built-in Cross Functional Flowchart templates don’t have a way to do this easily. 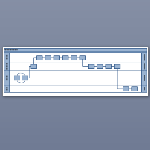 And Visio has no “Freeze Columns” feature like Excel…because…well let’s just say its a different paradigm. Once you get down to flowcharting with your New! Improved! template, you’ll add bands, you’ll add flowchart shapes, and you’ll stretch the page to some ungodly horizontal dimension in order to accomodate the whole mess. You might even play with Themes to make it look pretty. But the text is still hard to read. So let’s try another trick. You can make two windows into the same drawing page by going to Window > New Window. If you change the text on a swimlane in the left window, the heading on the right end will change as you type. You can change the font color, style, size, etc. and the right header will do its best to match the left. This makes a cool demo for the guys sitting next to you, and will establish your prowess at using Visio. Yes Sir, things are looking up for you! Now that right header is a bit of a parrot, I must admit. It mimics what’s on the left side. That’s it. You can’t make changes to the right headers, just the left ones. But since you’ll likely be flowcharting from left to right, this shouldn’t be much of a problem. The template that you can download is called: Double-headed CFF Horizontal (US Units).vst. You might have wondered about the words Horizontal and US Units. US Units, also known as Imperial, just means that this template is made for Letter-sized paper, and uses inches as its measuring system. If there’s enough demand, we’ll try to get Metric version out, so vote in the comments below! 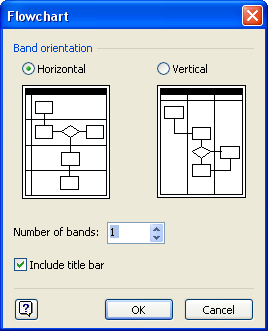 I needed to make an explicit “horizontal” template, so that Visio wouldn’t present this dialog, allow you to choose “Vertical”, and subsequently cause problems with my custom double-header band shape. So horizontal shapes are on the page both to save you time and to tell Visio that we’ll be doing horizontal swimlanes today, thank you very much. So we have units and orientation to consider, which brings up the idea of sequels. Follow-up posts. More free stuff. If horizontal/imperial is not your thing, then you need to vote in the comments below and let us know what type of cross functional flowcharting you are doing. As far as I can see, there are four possibilities, and #1 is already done, so don’t vote for that. Previous Post: « Harrison Clarity. Just the Videos M’am. My vote also goes to “Double-headed CFF Horizontal (Metric)“! Ok, that’s 3 votes for “Double-headed CFF Horizontal (Metric)“! Add another vote for Double-headed CFF Horizontal (Metric) please! In fact, add three hundred votes, I could do with this NOW! The downloaded file does not work in Visio 2010. The file was developed in Visio 2007, and Visio 2010 has some significant changes to how the swimlanes work, so this doesn’t surprise me. This is great, but you only gave us the templete. You did not give instructions on how you did it. Which would be nice to know. I’m voting for “Double-headed CFF Vertical (Metric)”. Nice work but perfectible: for instance if you want to format text, the “parrot” from right side don’t mimimcs too well the left side. Let’s suppose you want to name a band “The Big Bear” with the first characters bolded, and underlined (TBB). In the right doesn’t appear the same changes on characters TBB… Can you improve this swimlane, if you make changes as well in the right size, to be “reflected” in the left…?! Is it possible ?!. I would love to use this template. When I download and open it, there is only the left swimlane “head” appearing. Ooops! 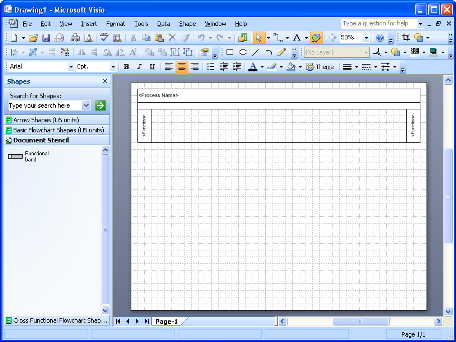 I saw that this template is not for Visio 2010. I have a problem with Visio Swimlanes. 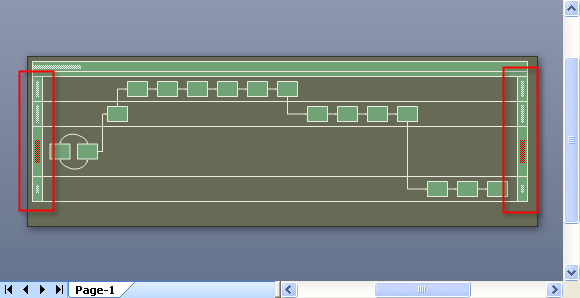 Everytime I save, close and re-open the swimlane, the bands are re-arranged. How can I prevent the bands from moving around and scrambling the process flow? 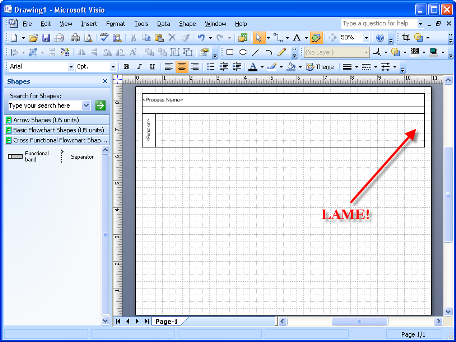 It would be helpful if this template was upgraded to work with Visio 2010. Thanks for the feedback, Marty. Seems Microsoft comes out with new versions faster than I can revisit the over 200 articles on this site! Hmm. Not sure about that. Unfortunately, I don’t have time to investigate. Hopefully somebody else can assist! I have done the download but when I try to use the template in Visio 2010, I still end up with the swimlane on the original end. Your input would be a great help. I downloaded the template but it is not double headed as described in the article. What gives? I just looked into this. The download was made for Visio 2007, but Visio 2010 updates the swimlane automatically, and basically kills the shape I produced, replacing it with a new, single-headed version. I’ll have to make new 2010 and 2013 versions of this shape. Sorry for the bad news, guys! I too am having problems with the template not being Double Headed. 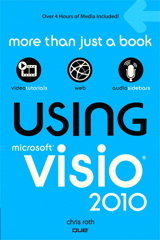 I am using Viso 2010. Thanks for doing this!!! This article was written for Visio 2007. 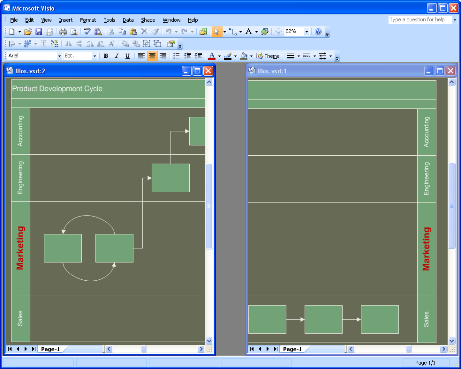 Visio 2010 changed the way it handles swimlanes, so this version probably won’t work past Visio 2007. I need to make an update, but more than that, I need free time to do it! Visio Guy, Can you share with us a how to? Any update on a double headed template for 2010+? Thanks!